Twitter's Most Retweeted Tweet Is About Wendy's Chicken Nuggets : The Two-Way Carter Wilkerson was on a mission to get free chicken nuggets from Wendy's. In the process, he dethroned Ellen DeGeneres' Oscar selfie for the most retweets ever. 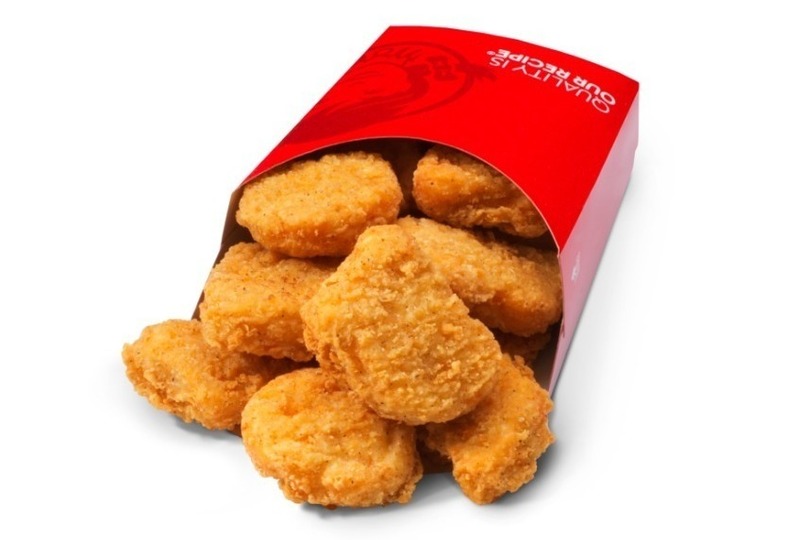 Oh, and he also got the free nuggets. The allure of Wendy's chicken nuggets is at the center of Twitter's most retweeted tweet. Shortly after Wendy's response, the 16-year-old from Reno, Nev., took a screenshot of the conversation and asked fellow nugget lovers to help him because, as he tweeted, "a man needs his nuggs." On Tuesday, Wilkerson's plea for free nuggets broke the retweet record, according to Guinness World Records. His tweet was shared more than 3,470,000 times. Previously, the most shared tweet was Ellen DeGeneres' Oscars selfie, which Guinness said had 3,430,249 retweets as of Tuesday. In light of his newfound social stardom, Wilkerson started a website, #NuggsforCarter, which sells T-shirts for all chicken nugget aficionados. According to the website, all proceeds from the merchandise sales will be donated to the Dave Thomas Foundation for Adoption. And even though Wilkerson didn't quite hit the 18 million mark, Wendy's decided to go ahead and give him the free nuggets for a year. Wendy's also pledged to give $100,000 to the Dave Thomas Foundation for Adoption.